Born in Greece in 1980, Antonis Hatzinikolaou is considered today as one of the most distinguished guitarists of the younger generation. He has received distinctions in numerous international guitar competitions including the Hubert Käppel Competition, the Ivor Mairants Award and the prestigious Julian Bream Prize, adjudicated by the maestro himself. After receiving the Park Lane Group Young Artist Award he made his Purcell Room debut, which led to professional engagements that have taken him to Italy, Greece, Cyprus, Spain, and the UK. He has performed in a number of distinguished concert halls such as Queen Elizabeth Hall, Royal Albert Hall, St. Martin-in-the-fields and Kings Place in London (UK), Athens’s Megaron (Greece) and recently made his debut at Mixon Hall in Cleveland (USA). His performances have been heard frequently on BBC Radio 3 and on ERT Radio 3. Apart from his solo playing, he is an accomplished chamber musician, and a member of the Fugata Quintet, an ensemble that specializes in the Nuevo Tango of Argentinian composer, Astor Piazzolla. Antonis Hatzinikolaou has a particular interest in contemporary music where he has collaborated and performed works by eminent British composers such as Sir P. Maxwell Davies, Sir R. Rodney Bennett, N. Maw, B. Northcott, S. Dodgson, J. McCabe and premiered works by M. Taylor, C. Bray and J. Atkins. In 2008, Draft Records released his debut solo CD, which Classical Guitar Magazine described as: “Magnificent … simply magnificent! …this is playing of the highest standard…”. Other releases include NMC’s “Songbook”, where Antonis Hatzinikolaou collaborated with other artists and won the 2009 Classic FM Gramophone award for Contemporary Music. The great success of these discs resulted in the recording of the first ever album in the history of the NMC for solo guitar. Dedicated to British composers of the 20th century, the disk was released in April 2013. The Gramophone magazine wrote that: “Hatzinikolaou… proves to be one of the most eloquent advocates for British guitar music you could wish for”. Antonis Hatzinikolaou graduated from Philippos Nakas Conservatory in Athens where he studied with Alexandra Christodimou, proceeding to the Royal Academy of Music in London, where he gained his MMus, under the tutelage of Michael Lewin, Timothy Walker and John Mills. Upon his graduation, he was awarded the Reginald Thatcher Award for General Excellence, and the Honorary Dip RAM – the highest performance award conferred by the Royal Academy. In 2016 he has been awarded an “Honorary Associate of the Royal Academy of Music” (ARAM) by RAM’s Governing Board of Directors. 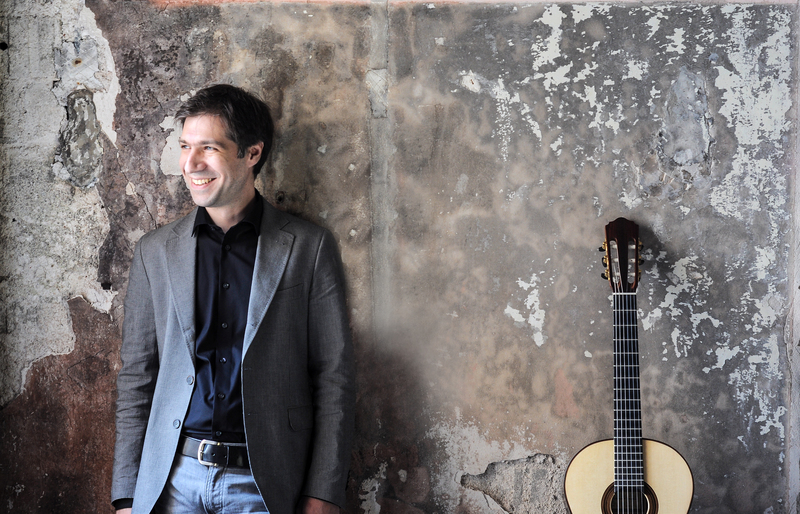 Besides his career as a soloist he has given Masterclasses worldwide and since 2012 he is an appointed professor of classical guitar at the Philippos Nakas Conservatory in Athens (Greece).